Beverley Gwadera has been appointed as the new Head of Business Development at Family Fund Business Services. Her role within the growing team will help to develop our business development strategy and associated projects to maximise trading opportunities across multiple channels and sectors. Beverley brings with her 11 years of experience heading up teams working with charities and NGOs helping them operate with greater financial efficiency. Jill Wheeler, Managing Director at Family Fund Business Services says: “We’re thrilled to have Beverley on board. 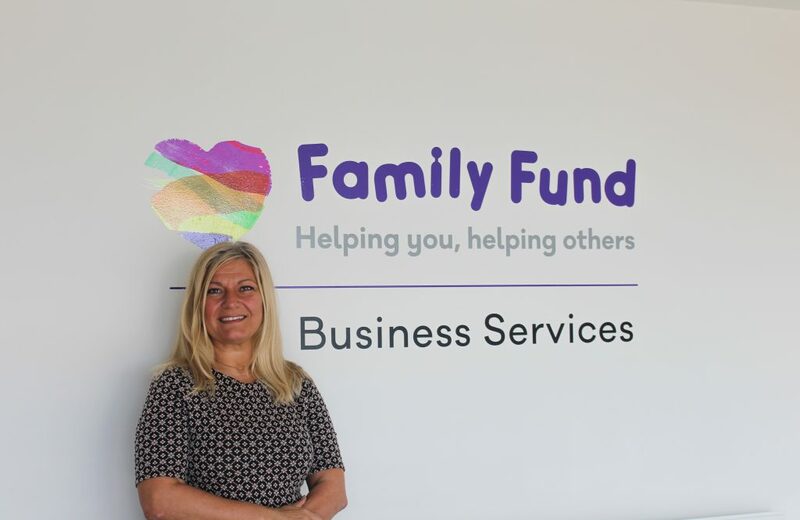 We are confident that she will drive the business forward to extend our reach further, supporting even more customers across the housing, charity and local government sectors, and delivering increased income for our parent charity, Family Fund. Family Fund Business Services was recently appointed by BBC Children in Need to deliver their Emergency Essentials Programme. The programme supports families living in financial, health and social difficulties, and provides items that meet children’s most basic needs. This entry was posted in Charities, Housing, Staff News and tagged Beverley Gwadera, Family Fund, FFBS, Head of Business Development, New appointment, New Starter, Welcome. Bookmark the permalink.